People who come to Hogarth House are impressed with the space. The LABS Holborn campus begins with Hogarth House, which is part of the conservation area, just a minute away from Holborn station and provides central London office space for businesses of any size. An impressive seven-storey building housing dynamic open-plan lounges, coworking space, meeting rooms and private offices, complete with double-height raised ceilings and original brick walls. The geographical location of each LABS building plays an integral part of the interior design; we always start by determining what’s special about the area and what kind of ‘second home’ to build for the businesses that will be based here. In addition, we think about how we can digest the physical characteristics and natural charm of the existing architecture and replicate it in the decor, furniture and atmospheric vibe. This is how our buildings differentiate from one another and nearby Holborn office space, whilst keeping to our high standards throughout. Being called LABS, there’s an obvious choice of theme already! However, you won’t find lab coats or bunsen burners hanging around. This required a more subtle and playful approach; spot the theme flowing through the meeting rooms and find the occasional science-themed objects within the building. We teamed up with a number of celebrated design experts to help us form our unique, innovative environment. These include West Elm, Swoon Editions, Billiani, Patch and Broken Fingaz. This Holborn office space is just the beginning of the LABS campus. 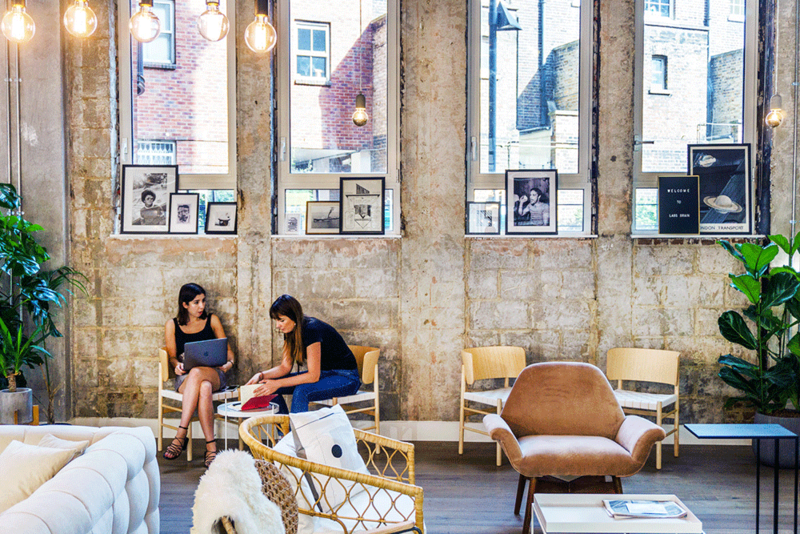 More coworking space and a bigger community is to come to make Holborn the new destination for the modern worker.